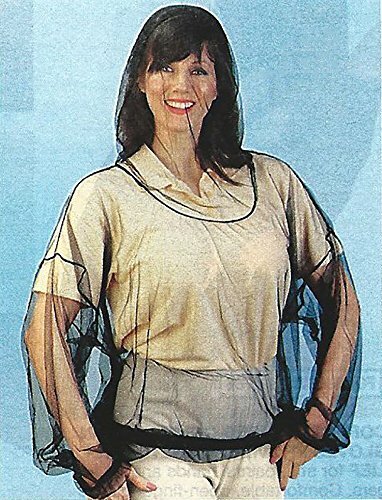 Our Bug Stopper Pant and Top Set keeps gnats, bees, mosquitoes and other biting bugs at bay! Work outdoors, fish, hike, garden without resorting to chemical repellents. Airy one piece woven mesh top with elastic cuffs and hem covers you from head to mid hip. Slips on over head. One piece woven pant with elastic waist and ankles. Fits up to 53" One size fits most. 2 Piece Set.